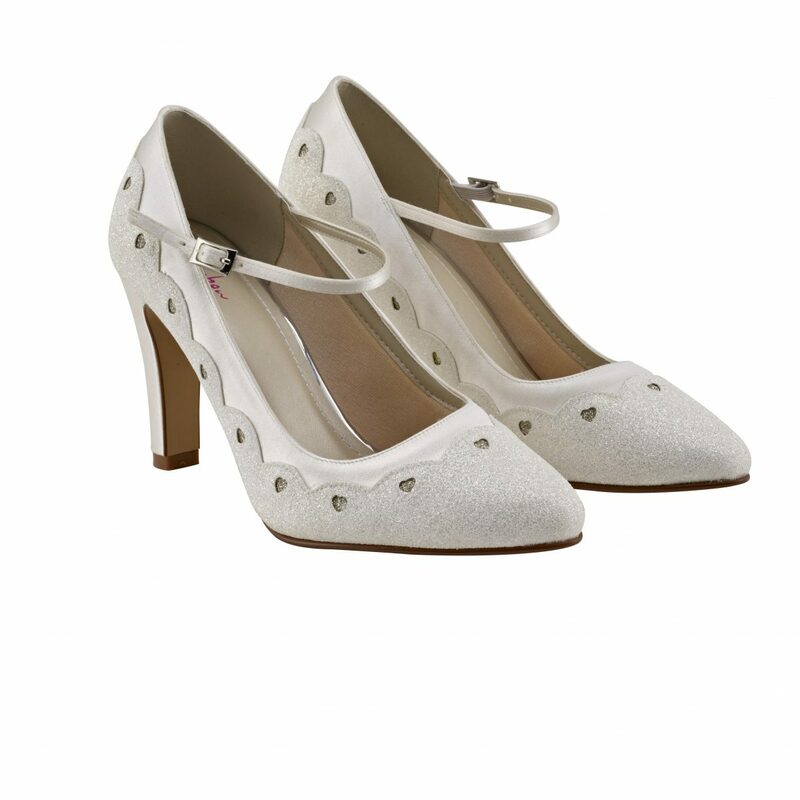 Rainbow Club Trixie from the Fashion collection. 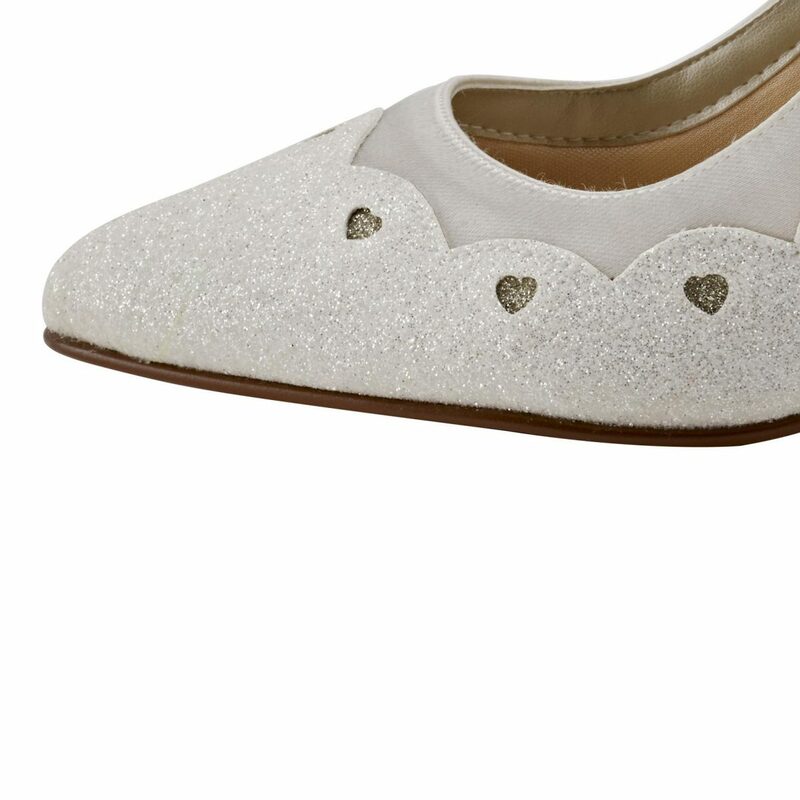 A Mary Jane shoe with an ivory satin block heel and Ivory Fine Shimmer scalloped overlays, finished with Silver Fine Shimmer cut out hearts! 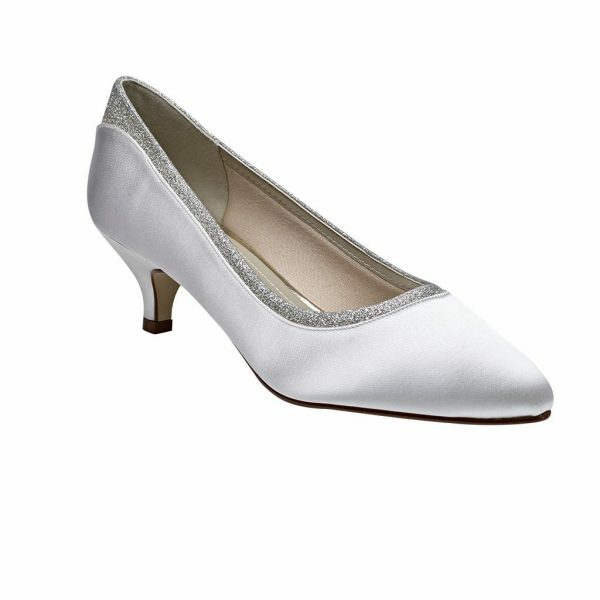 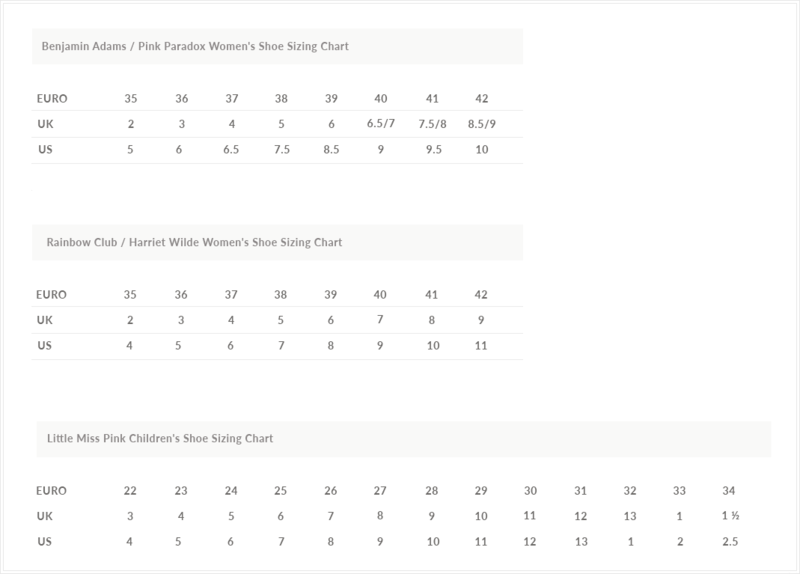 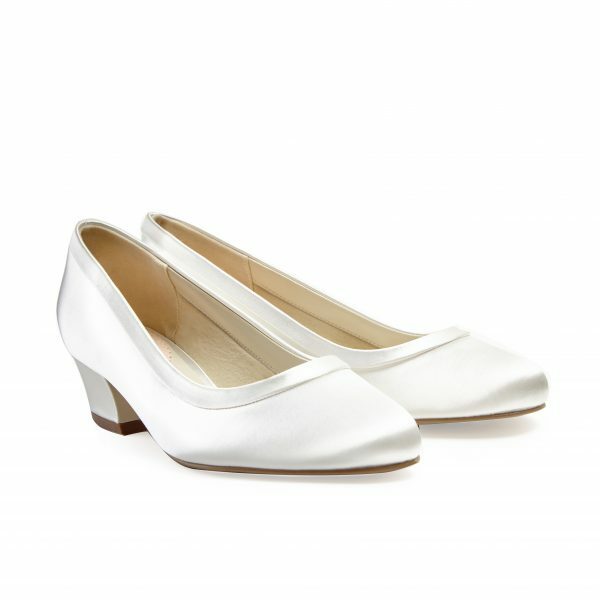 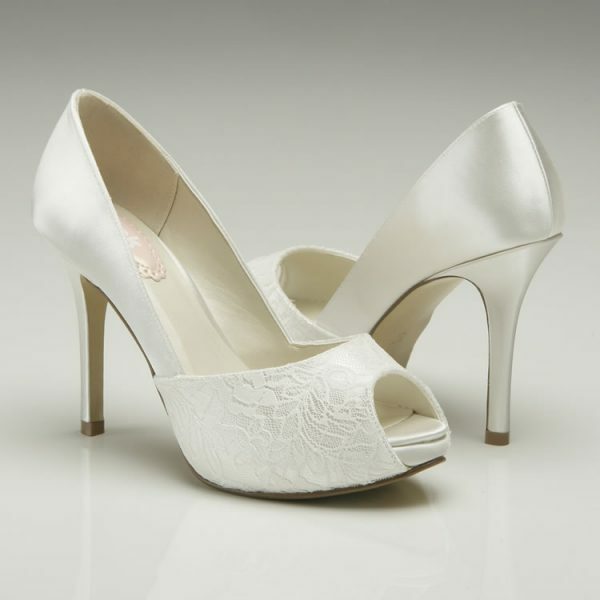 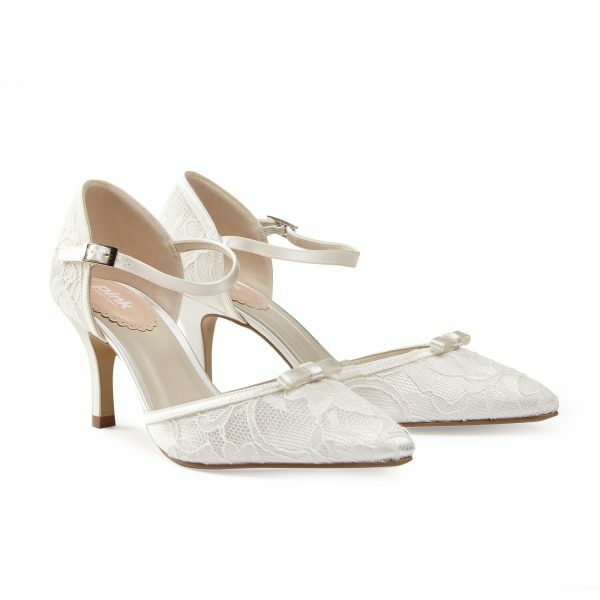 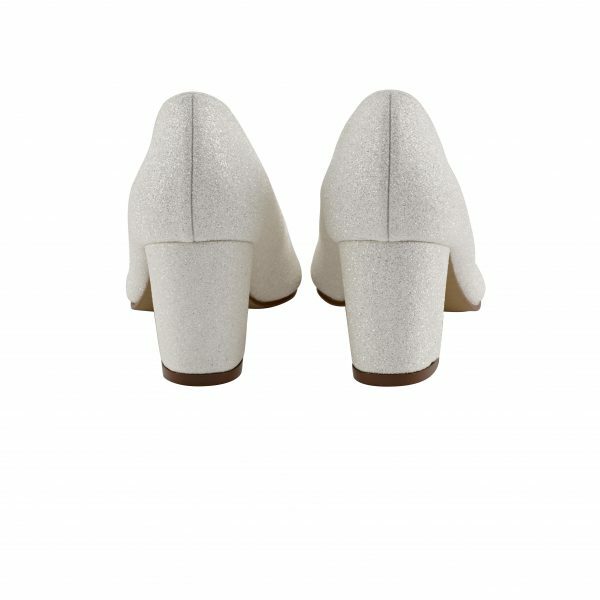 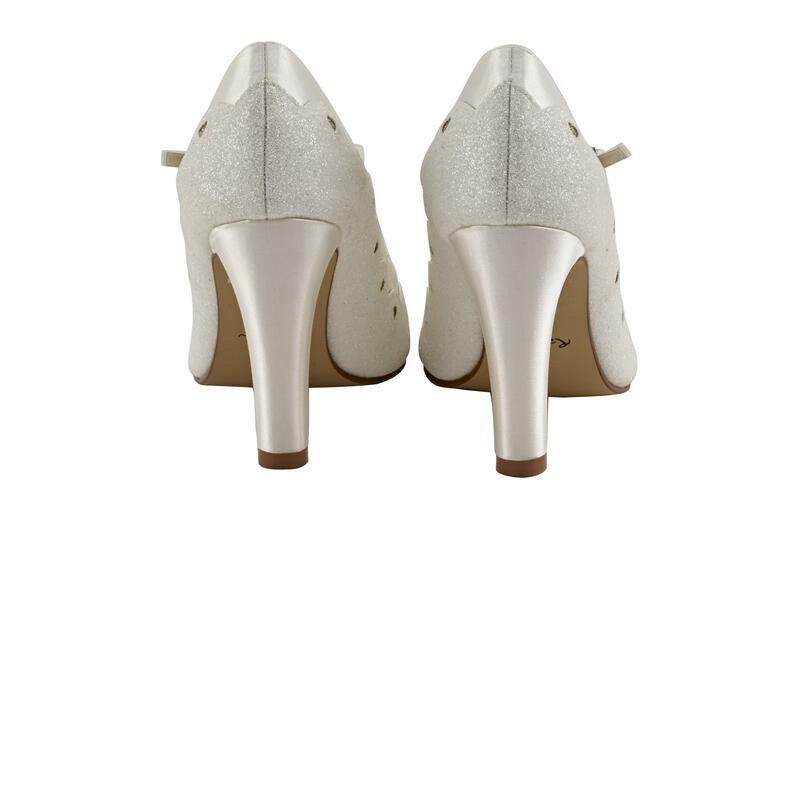 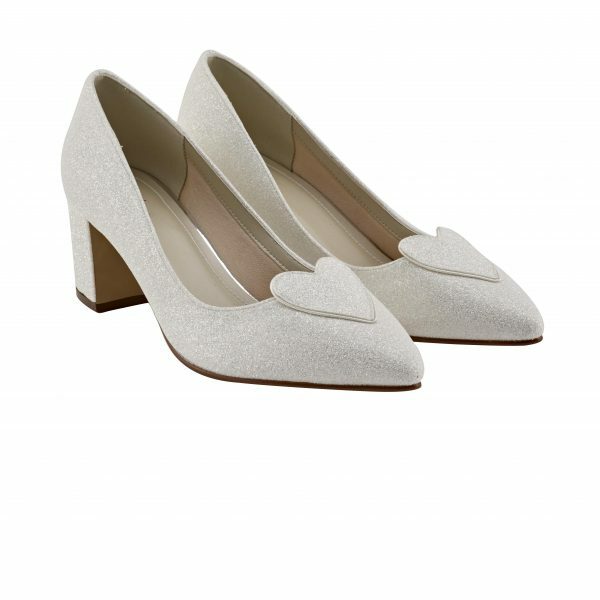 Trixie is the perfect shoe for that modern and kooky Bride, Bridesmaids and Mother of the Bride alike. 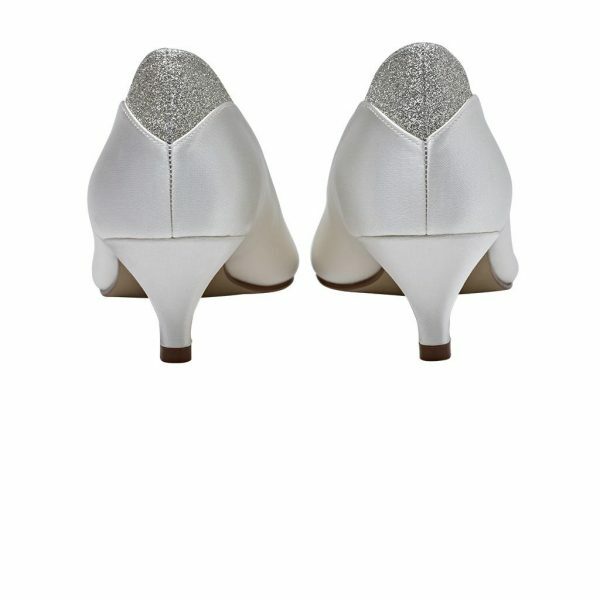 Rainbow Club shoes come with a blue crystal on the sole as your ‘Something Blue’.